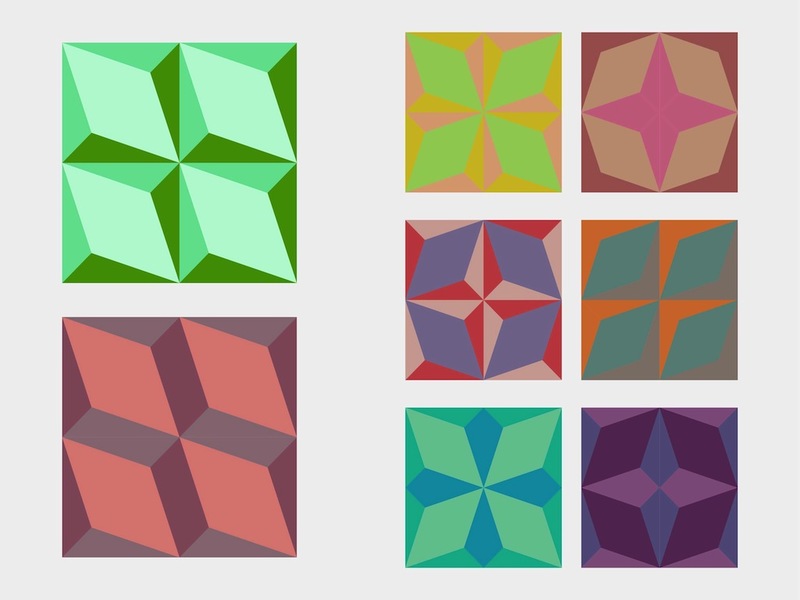 Pattern vector footage pack. Vintage Illustrator graphics in various colors. Square tiles with abstract decorations. Geometric shapes in different shades to use as pattern tiles, stickers, logo templates and document decorations. Free vector images for all retro, vintage, geometry, geometric shapes, sixties and seventies era, abstract design and art projects. Tags: Abstract, Colors, Decorations, Geometric Shapes, Retro, Tiles.